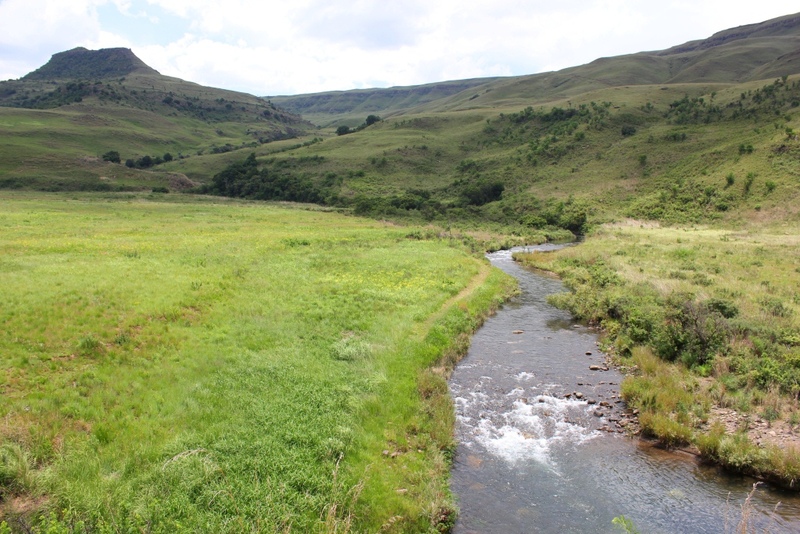 This article on the threat of mining alongside the Drakensberg was written by Cobus Theron, Project Coordinator of the EWT SOUTHERN DRAKENSBERG / EASTERN GRIQUALAND STEWARDSHIP PROGRAMME, and first appeared in GRUS e-magazine. I generally try to maintain a balanced view on issues but I recently learned that despite my best efforts to remain objective and open, there are some situations where the middle road simply does not exist. Where there is a need to fight with fire and brimstone. The meeting concerning the issuing of prospecting permits started quite sedately with everybody being respectful and polite. Despite this the tension in the room was tangible. Farmers were nervously fidgeting while the meeting conveners were carefully choosing their words. This meeting was the first of its kind in our region in recent times. Over the years we had become used to public participation meetings but this was something different. The more the applicants explained the reason for seeking prospecting permits the more heated things became and their “business case” seemed to fizzle away with each attempt to explain and clarify. When things became difficult for the organisers they tried to apply a “divide and rule” tactic which failed miserably. It was real cloak and dagger stuff. As the meeting unravelled and I considered the information that was given to us it became clear to me that mining and the stewardship of land are directly opposed concepts that would at best result in a rocky marriage of compromise. The day turned out to be a victory for landowners and environmentalists as we pointed out procedural and other inadequacies. The mining applicants left with their tails between their legs and we congratulated ourselves on our performance. But while nobody said it, everybody knew that our hollow victory would not last long before the next miners would come knocking on our door. What was brought home to me that day was that we can rightfully be deeply suspicious of mining proposals and should treat these “developers” with the same lack of respect they have for us. We do have to be on our toes if we have any chance of stopping fracking and other energy exploration in the Midlands and Drakensberg foothills. Many people are not even aware of the threat, so why not help spread the word by attaching the graphic below to your email signature? It calls for donations to the Treasure the Karoo Action Group who, at the moment, are putting up an impressive fight which will benefit us all. If you would like the original jpeg (better quality) email info@midlandsconservancies.org.za See the Treasure the Karoo Action Group website www.treasurethekaroo.co.za for more info. This entry was posted in Environmental Issue on September 16, 2013 by Midlands Conservancies Forum. I think, without having checked with Cobus, that the mining public participation meetings may be more related to the applications for prospecting for base minerals particularly in the vicinity of Weza Forest. The area contains an amazing assemblage of grasslands, indigenous forest and wetlands, not to mention special rocky outcrops with their own unique habitats. Even prospecting would have a significant impact on the area.